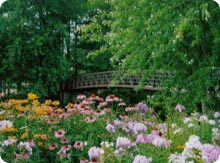 The Gilman Village Park is located within the Village limits and is bordered by the scenic Yellow River. It is available for family use and can also be scheduled for use by private organizations (see application and park use policy below). 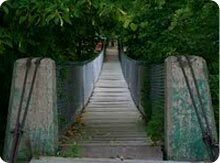 Gilman's 100+ year old swinging bridge is located right in Gilman and provides a unique method of crossing of the Yellow River to and from the Gilman Park. 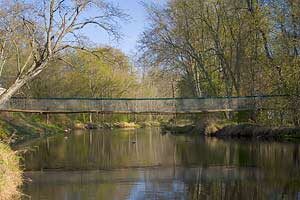 It is the only swinging bridge left in the entire state. 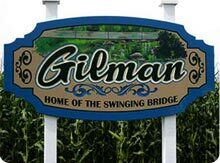 Gilman is near the Chequamegon-Nicolet National Forest that is known for great camping, hiking, fishing and hunting. 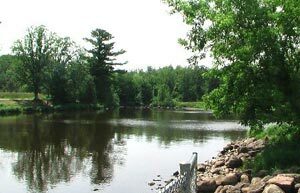 The Chequamegon and the Mondeau Flowages as well as numerous smaller lakes are known for their great fishing and scenic beauty. Chequamegon Waters is created by Miller Dam on the Yellow River in Taylor County, Wisconsin and is used for recreation and fish and wildlife protection purposes. Construction was completed in 1967. At normal levels it has a surface area of 4.7 square miles. It is owned by Taylor County. 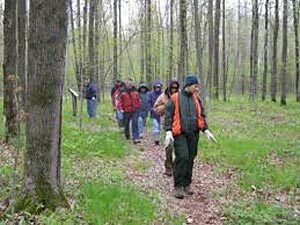 The Ice Age Trail, the longest unbroken stretch of the National Scenic Ice Age Trail, also passes through some of the most scenic areas of the Chequamegon National Forest. It offers some of the best hiking in the state. 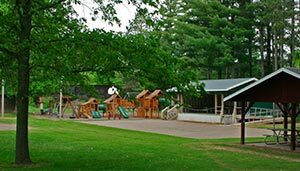 During the winter, residents and guests alike use the Perkinstown Winter Sports Area for inner tubing, cross-country skiing, snowshoeing, and snowmobiling. 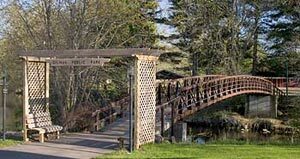 The Perkinstown Motorized Trail is twenty miles of trail developed for ATVs and motorcycles as well as mountain bikes, horseback riding and other non-motorized activities through the scenic Chequamegon National Forest. 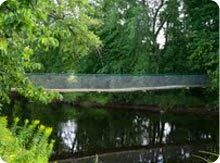 The trail is highlighted by rolling terrain, wooden bridges, woods and wetlands. 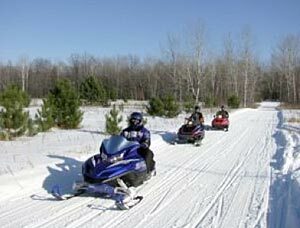 Taylor County boasts some of the best-groomed trails in the state for those who snowmobile or ATV.